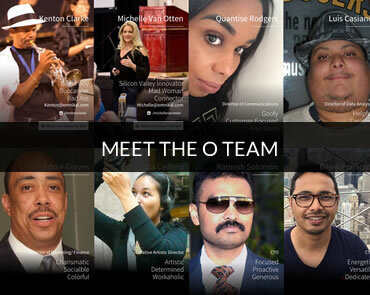 OMNIKAL is the Nation’s largest inclusive business organization, built to empower all entrepreneurs, and small to medium sized businesses through “a powerful social B2B platform” that fuels real growth & success. We make more B2B connections for SMBs than any other organization. Over $1 Billion in sales transactions have resulted from our B2B matchmaking through our events and membership platform thus far. We believe in the omnipotence of entrepreneurship and in providing real world solutions to today’s business and economic challenges. We solve complex problems facing many businesses today through offering the highest quality level of B2B connections on our social platform, Fortune 1000 matchmaking, entrepreneur training to teach all businesses to grow and scale and the best community-based mentorship available for our members. Everything we do at OMNIKAL serves in building stronger businesses, creating wealthier communities and moving the needle that impacts markets. The OMNIKAL team is comprised of dedicated, successful entrepreneurs world-class business strategists, thought-leading culture consultants, global branding & marketing professionals and social media experts who are pioneering the next level of inclusive business growth. Together We Are reinventing the way forward for companies and business to thrive.